The Bengaluru-based investment services platform helps users choose the best-performing mutual funds. Sanjiv Singhal, an IIM-Bangalore alumnus with more than 25 years of experience in finance and technology launched the start-up in 2012. Ashok Kumar E.R., an IIM-Kozhikode alumnus, met him through a common friend, and joined the startup after realising that they were both driven by a shared purpose, getting millenials to move beyond the traditional financial instruments. The founders realised that most working professionals in India go for traditional investment options such as gold and real estate or put their money in fixed deposit schemes as they do not have easy access to investment advice. The duo decided to address this pain point and developed an algorithm that looks at the performance of mutual funds over the years and advises users on investment. The algorithm narrows down 8,000-plus mutual funds to 10 and puts them under four categories - long-term, short-term, tax-saving and any-time cash. Scripbox charges mutual fund houses a small fee, around 0.1-1 per cent of the capital invested through them. The start-up has raised `100 crore to date from Accel Partners, Omidyar Network and a clutch of angel investors. Accel invested in series A and B funding rounds, but Omidyar only invested in series B funding. 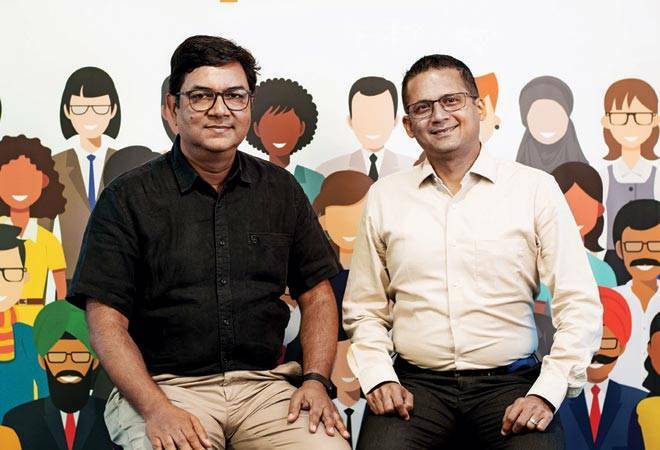 Scripbox currently manages assets worth `600 crore-plus for more than 3.5 lakh subscribers. According to a filing with the Ministry of Corporate Affairs, the company's revenues stood at `1.3 crore in FY2015/16, and it incurred losses of `11.3 crore in that period. According to Ashok Kumar, fixed deposit schemes are the biggest competitors as most people still prefer to play it safe and put their money in these schemes. Also, competition has got tougher as quite a few players such as Groww, Upwardly and RupeeVest have entered this space.